1) Direct Streaming. Many of the hearing aids that have been released in the last few years have included ‘Made for iPhone’ features. This allows the user to connect the hearing aid to their Apple iPhone, enabling them to take calls and even listen to music via their hearing aids without the use of intermediary devices. For those Android users, manufacturers have been trying to get Hearing aids directly connected to Android phones for some years, and one or two have started to have some success- but for the others, there is always a collar clip or neck loop accessory that can be worn to give the same iPhone connectivity to Android users. 2) Control Apps. In addition to call streaming, almost all of the latest hearing aids now also include the ability to control ones instruments via a free smartphone app. 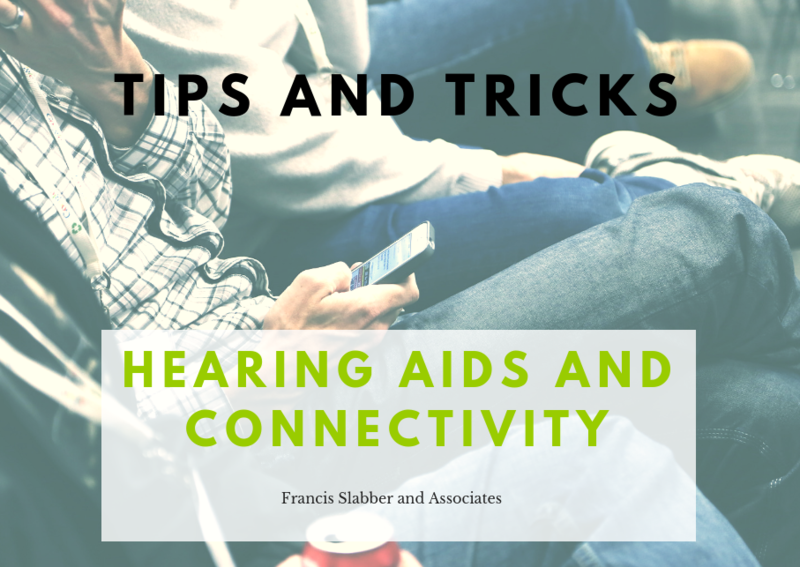 Depending on the settings in your aids, the app might allow you to adjust the volume, program, pitch, or even directionality of your hearing aids- without needing to touch the aids themselves, or carry an extra remote. 3) TV streaming. Today’s hearing aids can easily be connected to ones TV or sound system via a small box that sends the TV sound straight into the hearing aids for the clearest and most direct sound. While this isn’t anything new in the hearing aid business, the developments in technology have improved sound quality drastically in the last year or two, and while previously one had to wear something around the neck to allow the streaming to reach the hearing aids, the most recent instruments do not require this- meaning total discretion and ease of use. 4) Smart Home Devices. This is something new and exciting for hearing aids- and something that is still relatively new in South Africa. Some new hearing aids have the capability to connect to your home WiFi, enabling you to receive notifications from any of your home smart devices straight into your hearing aids. This means that your smart dishwasher might inform you when it’s finished it’s cycle, or your smart doorbell might warn you, straight into your hearing aids, that there is someone at the door. While smart devices like this might still be relatively new, this hearing aid technology opens the door for endless possibilities for the future. We as Audiologist are very excited about where the connectivity developments in our industry are going. It means that the most difficult situations for hearing aid users, such as talking on the phone, or watching television, might be a little easier. As always, it’s best to discuss your needs in these areas with your Audiologist. For more information about the amazing possibilities with regards to hearing aid connectivity, or to book an appointment to discuss how these options might work for you, comment below, or contact us for more information.